Selecting your Yoga mat is a serious responsibility. The mat is your personal space and a matter of hygiene. It will have contact it all parts of your body every day. It is your foundation, your support and encouragement during the difficulties of practice. The mat length should completely correspond to your size in a position when lying on the back. This is the minimum. The standard length is 74″ and this is enough for most people. There are options that are both longer and shorter, but in any case, try not to buy a mat that is exactly your length. A few extra inches are preferable, especially for Asanas series of this type Surya Namaskara (“Salutations to the Sun”), needless to say about the Vinyasa or Flow style. The mat’s width is typically 24″, which is sufficient. Of course, there are extra wide mats, such as the 28” Harmony XW Mat offered by JadeYoga, but this is the exception. Thickness is a very important parameter because it is the factor responsible for both your stability and painless practice. A mat that is too thick will cause you to feel insecurity in balancing Asanas. In addition, you must have good contact with the surface, which is the foundation for all standing poses, starting with Tadasana (Mountain Pose) The thin mat is closer to the ground, but if the Cow Pose hurts your knees, then it is too thin. As always, the optimal choice is in the middle: 1/8″ (about 3.2 mm) is the most popular thickness. A mat thickness of 1/4″ is suitable, especially for sensitive knees and elbows, as well as for relaxing Yoga styles and specific therapeutic classes. A mat thickness of 1/16″ is basically positioned for traveling. Recently, we are glad to see a variety of materials are available, but still good old PVC is the lead choice. Polyvinyl chloride (or simply PVC) is a synthetic material, whose characteristics are ideally suited to the conditions of classical Yoga practice. Good grip, high durability, and comparative lightness make this material the most popular. While it is not environmentally friendly, there is, unfortunately, no worthy eco-friendly alternative in existence. In addition, now many manufacturers are trying to improve PVC purity, cleaning it from phthalates and toxins (see appropriate labelling). This is the best of the eco-friendly materials, but only if you are not allergic to latex or rubber. Rubber is made from the resin of the rubber tree, and its characteristics (stickiness and durability) are closest to PVC. For some time after purchasing such a mat, it will have a peculiar smell. In addition, it quickly becomes dirty and requires special care due to its natural material. Sure, eco-friendly mats are very attractive, and definitely they are the way of the future. However, at the moment they yield to PVC according to the number of necessary properties. Their disadvantages are obvious: namely, a weak grip, fragility, and quickly becomes dirty. However, manufacturers are constantly looking for new ideas. For example, the lack of stickiness is compensated by applying a specific texture to the surface, while a special material is applied as anti-microbial protection against sweat. All this makes the process of choosing eco friendly mat quite distinctive. 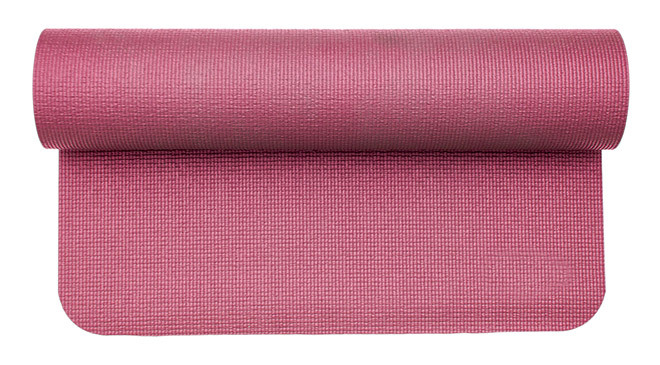 Today, the cost of a good Yoga mat ranges from $50 to $200. Of course, it is tempting to buy a mat for $10 to begin with, but we advise against this. Moreover, it will crack or deteriorate within one month and, even worse, it may emit a persistent smell that continually comes back to haunt you, especially for lying Asanas. 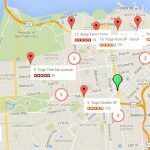 Instead, it is better to focus on inexpensive, but high-quality options from serious brands. Several decent manufacturers have earned the appreciation of long-time practicing Yogis: Manduka, Gaiam, Jade Yoga, Prana. Let the mat becomes your friend! At the end of practice, when you send rays of gratitude to all your teachers, do not forget to also say thanks to your mat. 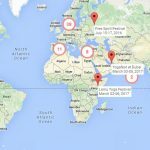 An ideal Travel Yoga Mat requires a really magical combination of properties: on the one hand, it should be light and take up only a little space in your bag, while on the other hand, is should provide sufficient elasticity to protect your knees and other body parts during practice sessions. 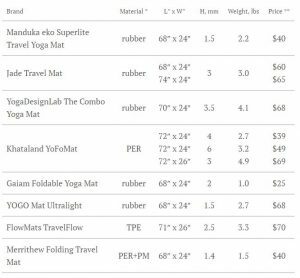 We have brought together several worthy examples in a summary table which will help you make the right choice when purchasing your Travel Yoga Mat, taking into account your particular body type and style of travelling. 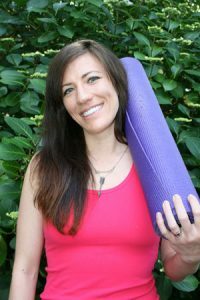 As a Yoga teacher one of the most common questions I get presented with is “What is the best Yoga mat for me?”. Whether you’re a beginner student, or wanting to dive deeper into yoga, it’s wise to know the different types of mats out there and how they can revolutionize your practice. In my experience a Yoga mat can make or break your practice. I remember the first mat I owned, a PVC, no name Yoga mat (relatively cheap $30 and ineffective). I used it for a little less than a year, and almost every class my mat would bunch up or slide. Not to mention it wouldn’t provide the support I needed for my knees. I know I’m not alone with my Yoga mat issues. Yoga by itself can be physically uncomfortable and it is important to receive all the support we can through our mats!